One of the world's most lucrative blogs in the internet marketing space is Smart Passive Income, run by the super successful Pat Flynn. In Pat's own words, it takes a combination of great design, exceptional content, and good strategy to hit your mark. You need to be able to help people, deliver solutions to their problems, and keep them engaged. 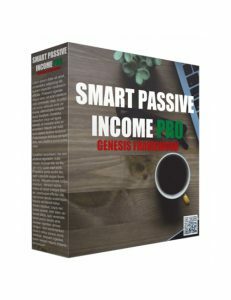 The great thing about Smart Passive Income Pro theme is that it's a colourful yet clean layout. Professional, sleek and charismatic. It's what you would expect to see from a professional marketer or businessman. The navigation is seamless and everything is well placed while also being responsive and easily viewed on any type of platform including desktop and mobile. Easily customizable to fit your needs and bring out the very best in your business, this theme is the one you've been searching for if you're looking to be the elite in your niche. It's proven to work amazingly well as evidenced by Pat Flynn and it will work for you too. You can change up the site however you want through the variety of layouts and widgets available. This is a case of less talk and more action which means you need to download this theme now and see just how amazing it is. If you want to be the king in your niche, let it start here. 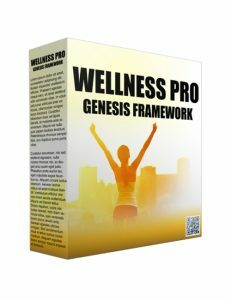 Wellness Pro is the optimal theme for bringing attention to your site that includes better living, self development, health and fitness, natural/herbal products, recipes and more. If you're a parent or a fitness enthusiast, Wellness Pro is the perfect theme for you. With a strong focus on colourful imagery along with cool scrolling features, you can be sure that Wellness Pro will not just captivate your audience but keep them engaged fully during the entire experience. Built on the powerhouse Genesis Framework, you are getting perfect code and SEO, easy updates, rock solid security, and a theme that loads perfectly on any medium. Google loves Genesis and that's a big advantage when it comes to competing against and ultimately surpassing your competitors. A great site is one that not just keeps people interested but pushes them towards buying a product or signing up to a list. Wellness Pro is built to push those buying buttons that all marketers and business people strive for. You can be assured that this theme is exactly what you're needing if making profits is your end goal. Don't delay. Hit the download button and start building. 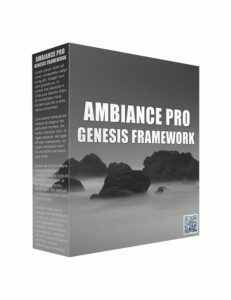 If you're looking to bring a lot of spark to your website, Ambiance Pro is the theme for you. It's the portal that will make you get noticed. Imagine you're hosting a party and have a hundred people attending. You want to make it a real experience for your guests so that they stay and have the time of their lives. If they find it boring, they'll leave and probably not have a positive opinion about you. You surely don't want that. This theme makes you the master of ceremonies. It shines the spotlight on you. You're the life of the party and the host. And you engage with your audience through your charismatic content and images. Ambiance Pro ensures that your visitors are greeted and get a good idea of the nature of the site immediately with the combination of words, images and headlines. With the numerous widgets available, you can customize the theme however you wish. On top you have great SEO, easy one click updates, clean code and all the bells and whistles that come with Generic Framework. If you're ready to bring your audience over to experience a real live party, Ambiance Pro is your dance hall. Download it now. Interior Pro is the ultimate theme for interior designers who want to showcase their work and experience with absolute excellence. This is a case where people who come across your business online hope to be wowed. They want to know why they should hire you over everyone else. Therefore they're looking for a person or company that impresses them. And it's your responsibility as a professional to ensure that you are the person for the job by presenting yourself as the master of your industry who prides themselves on the quality of their work. Interior decoration is all about creating awesomeness and aesthetically pleasing interiors so therefore you want to present that image to your potential clients online. Interior Pro uses lovely colours and a clean layout to help your brand pop and showcase the image you crave. You have numerous layouts and adjustable columns at your disposal along with landing pages that are designed to get your visitors engaged. Interior Pro is mobile responsive with clean code to ensure the best keyword rankings along with quick load times, easy theme updates and impenetrable security. If you're wanting to get clients or be a consultant, this is the perfect theme to push your brand above the elite. Grab it now. Hello Pro is your portal and your platform to greet the world and let them know all about you. It's optimal for building your brand and displaying your offers and delivering your expertise to your vistors. Hello Pro is built specifically to help you connect with the people who are looking for your services and/or products. If you're a business owner, you want to present a professional outlook with style and class and a little bit of charisma. Hello Pro gives you everything to ensure you appear as nothing less than a world class master in your niche. 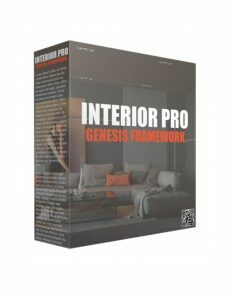 There are numerous features in this theme just like all Genesis Framework themes including a ton of colour options and textures, adjustable content sections, opt in forms, widgets and animations and so much more. Along with that, Hello Pro is mobile responsive, contains perfect code and SEO to ensure you are getting those top rankings as you develop your content. Powerful security and single click updates so that your theme stays current on the platform it's running on rounds out this incredible theme. Hello Pro is all about you and putting the spotlight entirely on you and your business. If you're ready to greet the world and make your mark in a huge way, this is your theme. Download it now. Education Pro is the ideal theme built exclusively for colleges, universities, and schools. If you're running any type of institution involving learning or even a home learning portal or online school, this is the theme you want. There's a ton of information that you need to somehow convey to your audience and the best way to do it is in small portions which includes sliders blending images with content. You don't want to overwhelm your visitors by throwing up massive chunks of information because that will not help them get the information they want quickly. And as Google tells us, people want convenience and information quickly. With Education Pro, you can put the main points of your content in small bits while the lovely images in the slider will keep the visitors engaged. There are numerous icons and widgets available which you can utilize, not to mention numerous colour and layout options available along with customizable menus and backgrounds, landing pages, etc. Nothing is left out. 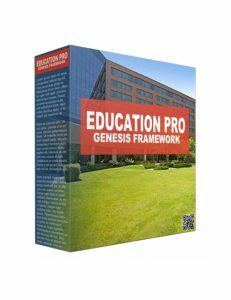 Education Pro is an immaculate, well organized and professional theme that you want to get a hold of right now. Elegance is exactly that...elegant! An absolutely delightful and sublime theme that displays your content and images in a sleek and attractive layout that's rich with features and fully customizable. Elegance is a simple and polished piece of web design that's been created by one of the best design teams in the world. A team that knows how to incite user action and keep them engaged. That means a smart theme needs to have elements placed in the right places on a page to fully capture the audience. Elegance boasts amazing typography with little else in the way so that the eye stays focused on the most important parts. If you want smart and attractive design, Elegance is your calling. You have a professional business, that means you need a professional theme. 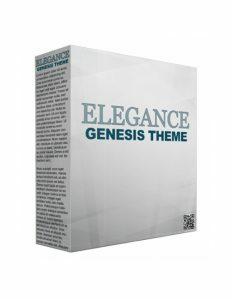 On top, Elegance is built on Genesis Framework which means a fully optimized site, one click updates, strong security, and exactly what Google wants. Grab this amazing theme now and take your business to a whole new level. Cook'd is the foodie's dream when it comes to an inspiring, sleek and mouth watering theme that captures and keeps the attention of food lovers who are searching online for food blogs, recipes, and ideas for new amazing dishes. This theme loads in a flash which is important for good keyword rankings. Also included are a ton of tools and widgets for you to customize the theme as per your needs. You can add what you want in terms of content and images, move things around, etc. There are no limitations and with this theme, you don't need to worry about optimization or updates or security. 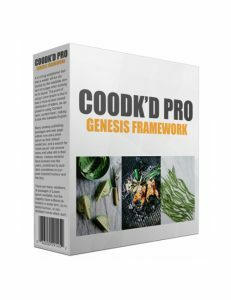 Genesis Framework is good like that when it comes to taking away all the technical issues so that you only need to worry about building your awesome food site. Food lovers will instantly fall in love with this theme that they won't want to leave. Cook'd is perfect for you if you want to be the next big story in the food niche. Grab this fabulous theme now.